1 saturn facts | This Blog Rules | Why go elsewhere? 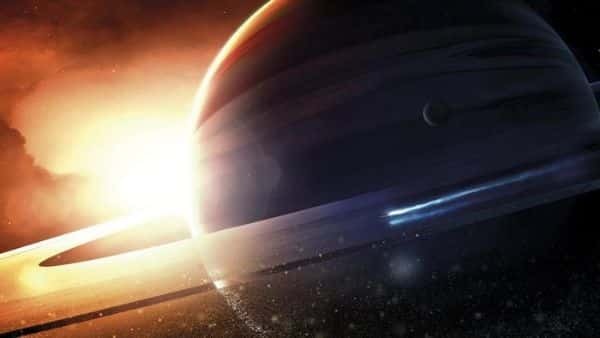 Saturn is the sixth planet from the sun in our solar system. It’s also the second largest behind Jupiter and the only one to be surrounded by a vividly shaped ring. It completes an orbit around the Sun in 30 Earth years and it completes a full turn around its own axis in only 10 and a half hours. These are some of the most basic facts about Saturn you could know, but there is still so much to be learned about this beautiful giant. 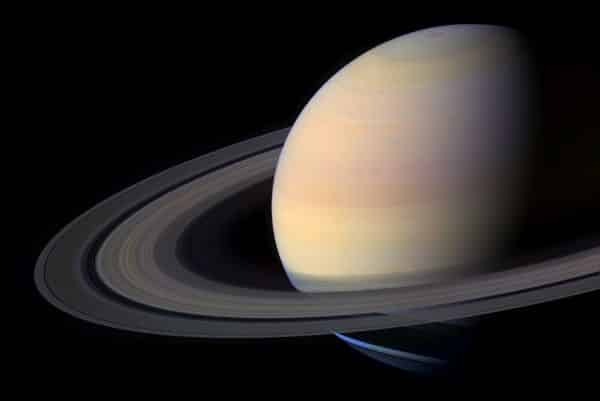 Here are 10 Facts About Saturn You Probably Didn’t Know. #1 – Saturn, like most planets in the Milky Way, was named after a Roman deity. In this case, it’s, well… Saturn! He was considered to be the God of agriculture among many other things, but he later on became the God of Time too. Because of this, his Greek equivalent is the famed Cronus. #2 – Because of the speed of its rotation around its own axis, Saturn is slowly turning into a flattened pancake. The scientific term for it, though, is “oblate spheroid.” This phenomenon is similar to what’s happening to the extremes of the equator on Earth, but it’s much more visible in Saturn’s case. #3 – Saturn would float in water. It’d take a really huge mass of water to be able to sink this giant in, but, in theory, it could actually happen. This is because Saturn has the lowest density of the solar system, indirectly proportional to its sheer size. #4 – Facts about Saturn for kids: ruin their expectations by telling them the planet’s ring isn’t solid. Most children believe this myth, for all the good reasons. Unfortunately, it’s not a material ring, but it’s one made of pieces of rock, dust, and ice varying in size. #5 – Saturn is one of the planets surrounded by a ton of moons. The inner part of our solar system, which is made of Mercury, Venus, Earth, and Mars is notably lacking in their presence. We assume this is because they all flocked over to Saturn, a planet with a grand total of 62 moons. The most notable of them has to be Titan, an awesomely named moon with a rocky surface covered in ice. #6 – Despite the fact that astronomy evolved so much, only four spacecrafts have ever been sent to Saturn. The first one was in 1979, while the last one was in 2004. Cassini, what the spacecraft was called, was the only one that managed to break through Saturn’s atmosphere and snap some snazzy photos of its surface and ring. #7 – Speaking of Saturn’s moons, hundreds of years ago, Galileo wrongly observed the shape of the planet and assumed that its ring was actually two moons stuck to different sides of the planet. This happened in 1610 and, surprisingly, it only took a few decades until it was decided that there truly were no moons involved in the creation of the ring. #8 – Saturn’s ring is also the subject of a rather fascinating phenomenon. Because of its axis, just like the Earth, Saturn is slightly tilted. Meaning that, sometimes it can be observed from Earth and we can see the ring in all its glory. In other instances, the ring can’t be seen at all and the view is replaced by its many moons. #9 – Yes, we did say that it can be observed from Earth. Due to its size, it’s one of the five planets that can be seen shining brightly in the night sky on a clear night. By using a telescope, you can even get a peek at its ring. #10 – Titan, Saturn’s most famous moon, has gravitational weak enough to allow humans to fly. Assuming we’ll ever get to step on Titan’s surface, this is the ideal time to properly try to imitate a bird.